Dr. Michelle Brannick ND, DC is a licensed Naturopathic and Chiropractic Physician in Vermont and Illinois respectively. 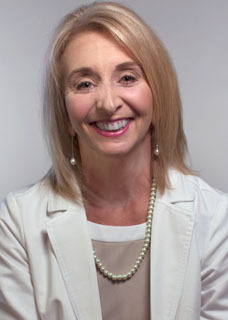 She earned her doctorate degree in Naturopathic Medicine from the highly regarded Bastyr University/Washington, and her degree in Chiropractic Medicine at the National University of Health Science/Illinois. Dr. Brannick also has 20 years experience practicing therapeutic bodywork including myofascial trigger point and deep tissue massage. Dr. Brannick's passion for natural medicine is exemplified in the clinic as well as at home. Her two children were safely raised completely naturopathic, free of antibiotics or other pharmaceutical drugs. She is dedicated to applying the same medicinal principles to her patients, working with them to restore the body’s balance and natural ability to heal. A vigilant practitioner who believes in continuing education, Dr. Brannick stays abreast of recent developments in all aspects of natural medicine. She frequently hosts student interns and enjoys teaching clinical therapeutics. 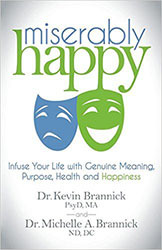 Dr. Brannick is also a professional public speaker on health and nutrition, author of a monthly newsletter on current health topics, and co-author of the recently published book, Miserably Happy – Infuse Your Life with Genuine Meaning, Purpose, Health and Happiness. • Entered with advanced standing status. • Naturopathic medicine program including 2 years of clinical education as a primary care physician.